The holiday season is approaching and we are feeling extra festive! 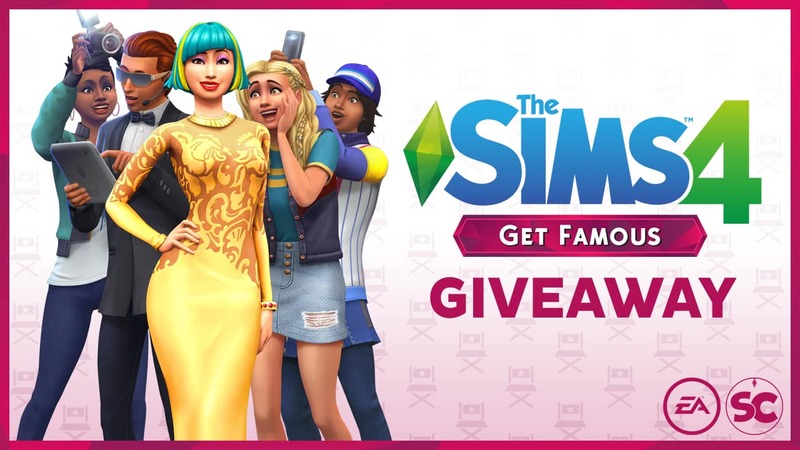 That’s right – we’re currently giving away 7 COPIES of Get Famous! The main giveaway that’s being held on Sims Community Social will last until December 22nd at 8PM CET while the Social Media giveaways will last until December 16th. Don’t worry, there are going to be a few more Get Famous giveaways after these end! Huge thanks to Electronic Arts for providing us with the game codes and good luck to everyone entering! It’s a Get Famous Giveaway so yes. Thanks for the chance ! Fingers crossed . OMG!!! I am so exited!!! its honestly really nice that you are doing a giveaway of the new pack! good luck everyone! This is so cool. Good luck to everyone. Fingers crossed!! Good luck everyone!!! Good luck eveyone! What an amazing opportunity this is! So coool! I can’t wait for the result! I so wish I win, but Goodluck everyone! !